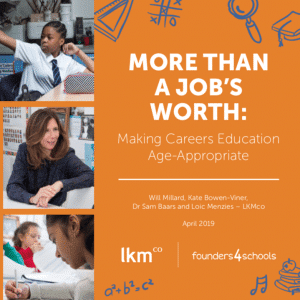 The report also shows that one of the major benefits of a quality careers education can be the opportunity to open up children and young people’s horizons, exposing them to a broad range of ideas and challenging the early formulation of stereotypes. When done well, careers education helps young people learn about themselves, as well as about possible future pathways. However, the research also highlights worrying gaps in provision, and the challenges facing teachers and schools supporting careers education. Some children and young people are less likely to experience a variety of quality careers encounters, including pupils eligible for free school meals, girls, and children from minority ethnic backgrounds.